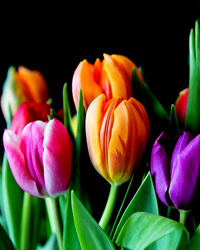 Obituary for Patricia R. (Timmerman) Stiffler | Timothy A. Berkebile Funeral Home Inc.
Patricia R. Stiffler 71, of Bedford, died Sunday, April 7, 2019 at her residence. She was born on February 4, 1948 in Bedford, a daughter of the late Donald E. and Edythe V. (Brown) Timmerman Sr. On October 29, 1989 in Bedford, she married James R. Stiffler, who preceded her in death on August 3, 2015. She is survived by a son, Courtney Guyton and wife Pamela, of Claysburg; three grandchildren; five great-grandchildren; an aunt Leah Jones, of Bedford, and a uncle, Kenneth Brown, of Bedford. She was preceded in death by a brother, Donald Timmerman Jr., and a granddaughter. Patti was a member of Trinity United Church of Christ, in Friends Cove, where she served in many capacities. She enjoyed reading, fixing and learning everything about home computers. Patti volunteered for many years with Love Inc., and enjoyed trips to the beach, cooking, and playing board games with her family. Funeral services will be held on Friday, April 12, 2019 at 11:00 a.m., at the Trinity United Church of Christ, with Rev. Dr. William Shrout officiating. Burial at Fellowship Cemetery. Friends will be received on Thursday, from 3-7 p.m., at the Timothy A. Berkebile Funeral Home, in Bedford, and one hour prior to the service at the church on Friday. In lieu of flowers those wishing may contributions in Patti’s name to: Love Inc., 80 State Street, Everett, PA 15537; or Bedford County Christmas for Kids, c/o Crystal Predix, 420 Texas Eastern Lane, Bedford, PA 15522. Our online guestbook is available at www.berkebilefuneralhome.com.